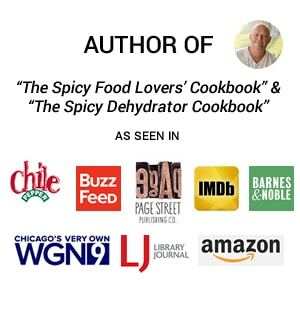 The best sofrito recipe is a flavor building puree of fresh peppers, onion, garlic, tomato and herbs widely used in Latin America and Caribbean cooking. It’s one of their “secret ingredients” for building dynamite flavor. My cooking journey has taken me all over the world for flavors and spices. I’ve learned that the freshest ingredients make the best flavors. Give me garden picked peppers, newly ripened tomatoes, and vibrant green herbs and I will make you a feast loaded with flavor. Cooks have been doing this all over the world long before I came along, particularly in the Caribbean and Latin American countries. There, they have been cooking with a mixture of aromatic ingredients and herbs to develop layers of flavor and taste into so many of their dishes, and I’m here to introduce it to you. It is called “Sofrito”, and you’re going to love it. 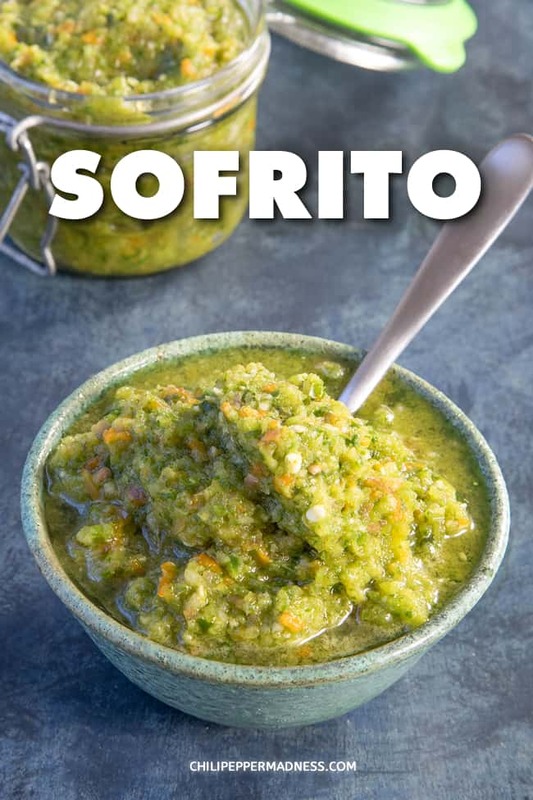 Sofrito is a sauce used as a base for building flavor into numerous dishes ranging from soups to stews to pots of rice. It is common in Italian, Portuguese, Spanish, Latin American and Caribbean cuisines, where it goes by different names, such as “sofregit”, “estrugido” or “refogado”. 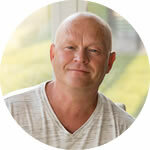 As with any widely used recipe, you’ll find variations from region to region, but the concept remains the same. Sofrito is a mixture of aromatic ingredients, either chopped or pureed, used to add flavor to different foods. In Spanish cooking, it is made from peppers, onion, garlic and tomatoes, which are then cooked in olive oil – referred to as “sufrito” or “refogado”. In Portugal, it is made primarily of onions and olive oil, and sometimes with garlic and bay leaves – referred to as “estrugido”. Dominican sofrito incorporates a variety of colorful bell peppers with red onion, tomato paste, garlic, apple cider vinegar, oregano and cilantro. Sofrito can be green or red, depending on the peppers used and the country of origin. My version is more Caribbean in influence, but you can adjust it to your desires with other peppers, herbs and seasonings. Aji Dulce peppers are traditionally used for certain versions of sofrito, like Puerto Rican sofrito, but you can use other peppers. If you are unable to find aji dulces, either use other aji peppers or try what is more local to you. Bell peppers are traditional as well, and much easier to find. Cubanelle peppers are also commonly used. At a minimum, just use bell peppers and you’ll still have yourself a wonderful flavor builder. Or use your favorite red peppers. 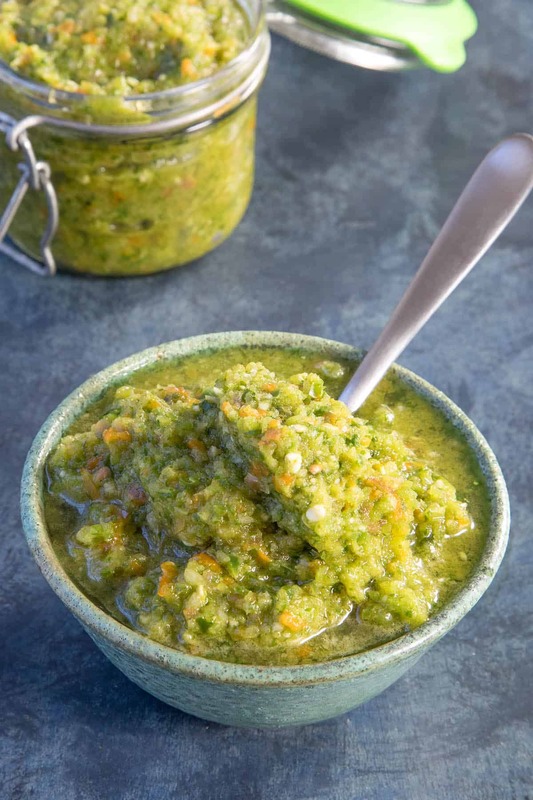 Let me show you how to make your own homemade sofrito. 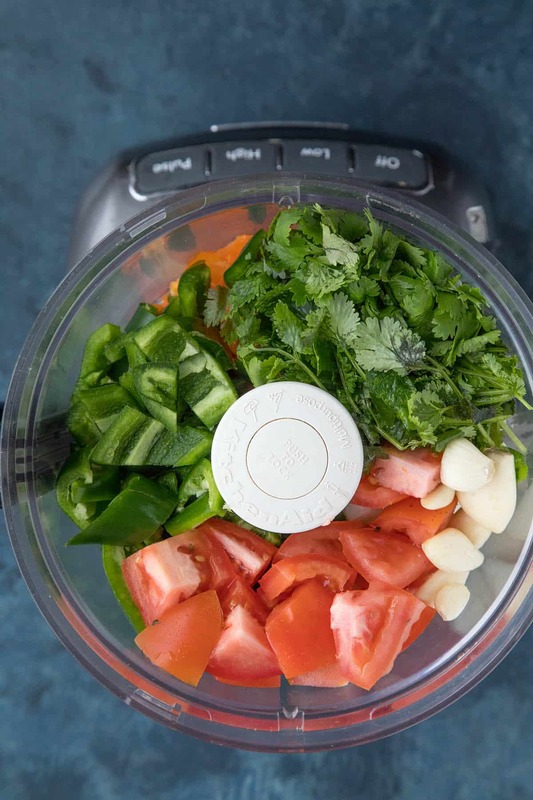 First, add to a food processor or blender the peppers, onion, garlic, cilantro, culantro, tomatoes, and olive oil. Add salt to your personal taste. Process until you reach the consistency you prefer. Either chunky or very smooth. 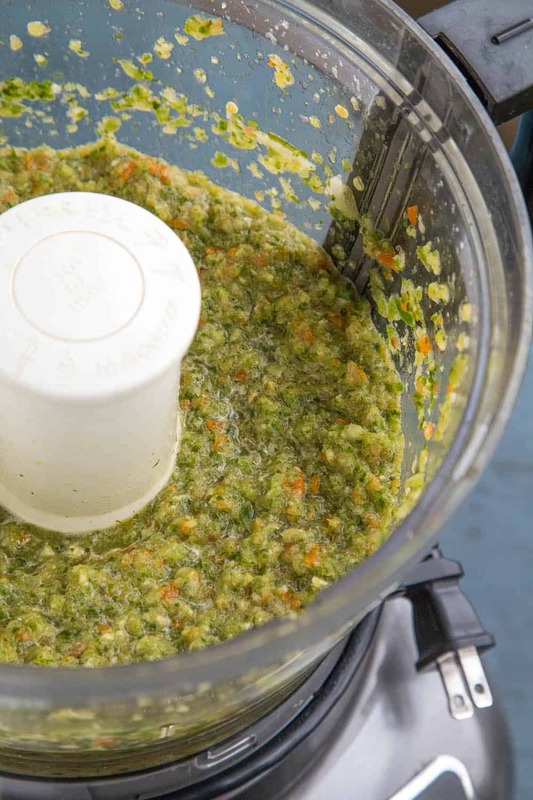 I prefer a smoother sofrito, as it is easier to freeze and blends more easily into my dishes. BOOM! Easy enough, right? This makes about 3-4 cups, depending on the sizes of your peppers and onions mostly. Store in the refrigerator and use as needed or freeze in small batches. Sofrito will last 2 weeks when properly stored in the fridge, or 3 months in the freezer. I like to freeze mine like this in ice cube trays. It makes perfect little portions that I can toss into just about anything to build flavor. Once they are frozen, just pop them out of the tray and transfer them into large freezer bags. Then keep in the freezer. It smells so fresh right out of the food processor, like a newly made salsa. Talk about a flavor builder. Homemade sofrito is the best. You can and should experiment with other ingredients. Consider adding apple cider vinegar, like cooks do in the Dominican Republic. Try it with other peppers. 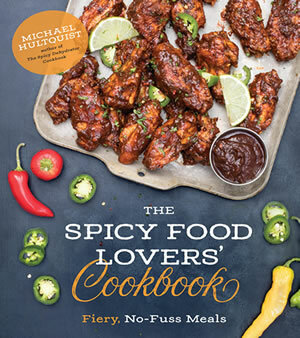 If you’re a chilihead like me who craves spicy food, incorporate some hotter peppers into the mix. In fact, habaneros are essential to a Mexican variety of sofrito. You can also adjust ingredient ratios. Want more onion and garlic? Just add them in. Dial back on the peppers? (*gasp!). Of course you can do that, too. 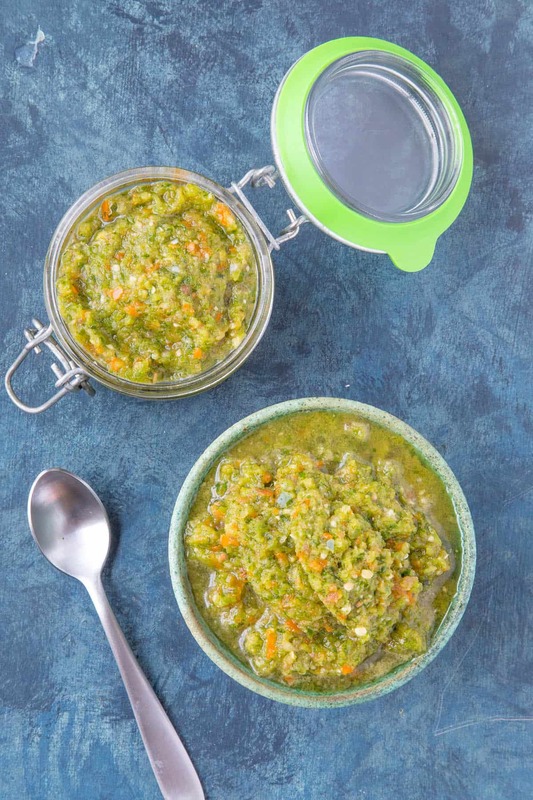 What Do You Use Sofrito For? Sofrito is used to add flavor to many different types of recipe dishes. Spoon it into a pan with chopped aromatics to build a big flavor base. Add it to soups and stews. It is a big components of rice dishes, like Puerto Rican Arroz con Pollo, or rice and beans. Puerto Rican sofrito is a big component of Puerto Rican cuisine. In Cuban cooking, it is used in dishes like Ropa Vieja and Picadillo. It is a total flavor bomb for many, many dishes. The best sofrito recipe incorporates fresh peppers, onion, garlic, tomato and herbs. It’s one of Latin America’s “secret ingredients” for building dynamite flavor. That’s it, my friends! I hope you enjoy your sofrito! Let me know what you make with it. I’d love to hear. Add all of the ingredients to a food processor. Process until you reach the consistency you prefer. Either chunky or very smooth. 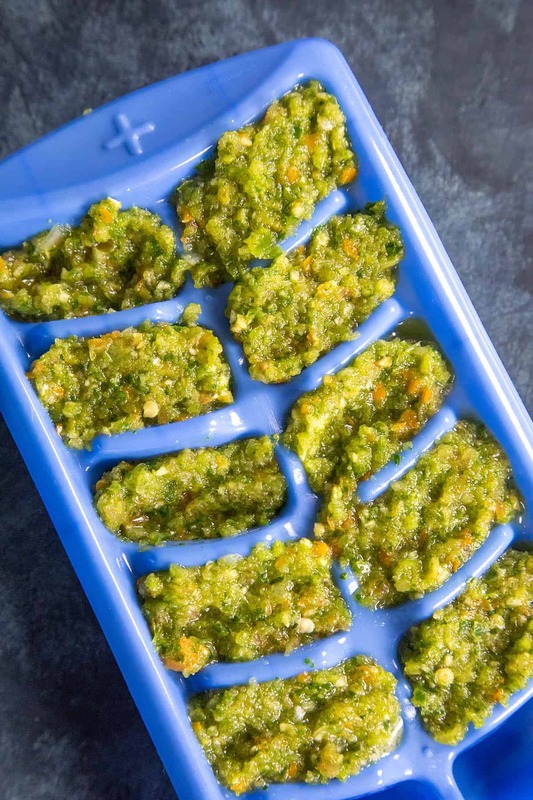 Store in the refrigerator and uses as needed or freeze in small batches. Sofrito will last 2 weeks when properly stored in the fridge, or 3 months in the freezer. Sounds like my kind of recipe. I have some dried Ajinomoto peppers from PERU. Thanks, Oosha. 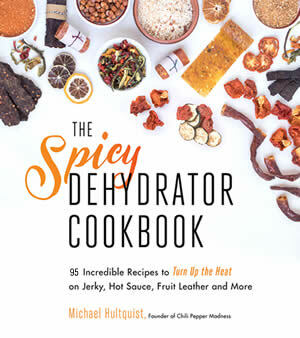 Yes, you can use the dried Ajinomoto peppers. Just be sure to rehydrate them first if they are whole. Enjoy! I’ve been making very close to this recipe for many years. Yours is wonderful. It always makes recipes with a lot of flavor. Thanks, Nadia. I know, I love this stuff.